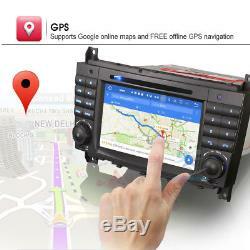 Android 7.1 GPS Navi Car Radio DVD DAB + USB SD Mercedes Benz CLK / C / CLC Class W203. 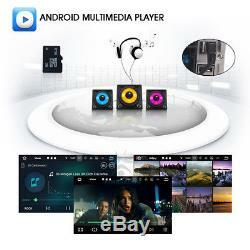 This unit is the best android unit on the market, the most functions can be compared to your smartphone. Mercedes benz c / clk / clc class cars. (it costs at least gbp35 in the market). Adopt the newest android 7.1.2 bone nougat, 1024600 hd capacitive touch screen, quad core cpu. 2gb ram and 16gb internal storage. It has special port for. To achieve touch operation, and this item can power on the dtv box. Just connect with our dab + box to use this function. Just connect with a camera to use record function. The records will be saved in nand flash / gps card / sd card / usb storage automatically, and you can play saved record on this unit directly. Mirror link for iphone and android smartphone. Torque support pro (obd2 & car). You can connect to an elm327 bluetooth obd2 scanner tool to use this function. Most popular and strongest function. Android 7.1.2 os, 1024600 hd capacitive touch screen, quad-core 1608mhz cpu, 2gb ram, 16gb internal memory, 32gb external support, 1080p videos / live images / 2160p photos, pdf / word / txt / excel, audio / video / photo media player, internet surf through 3g or wifi, google support navi and android maps navi, free 8gb tf card included, get access to thousands of apps, games on the google play store, keep connected through twitter, facebook, gtalk, gmail , wechat, skype and other services, playful games like ninja fruit, feed the candy, angry birds, big fish, air ... Radio, rds, bluetooth, dvd, usb, sd, cam-in, the steering wheel control, 8 panel light colors and via rgb combination, live wallpaper, diy wallpaper. 260mm (top width) 120mm (high) 240mm (bottom width). If your w209 has its front panel size has only. This item will not fit your car. Android 7.1.2 nougat operation system. Beautiful and fashionable ui unique design --7 five-point touch. Quad-core rockchip px3 industrial-grade chips, 1608mhz cortex a9 cpu. 2gb ram, 16gb internal memory. Extended media card / gps card / 3 usb stick up to 532gb --built-in clock and calendar, clock / date / week / time zone adjustable, can use gps or network-provided time --music / radio / bt-stereo player and clock / date / week can be displayed on the menu status bar --multi-languages: it has more than 180 languages ​​to select, just check it in our pictures via rgb combination --5 live wallpapers, 25 wallpapers, diy support user's wallpaper from gallery pictures --built-in. Wifi modem, support 802.11b / g / n wlan standard. High performance, low power consumption --support. 3g internet, support extral usb dongle: wcdma, evdo, td-scdma. You can use your browser if you are in internet - support. Free 8gb tf card will be in parcel content included --support. It can play music / movie / photo from local disc or usb / sd. -online entertainment, support online video, tv, movie, music, radio, youtube, yahoo, msn --online communication, keep connected through wechat, twitter, facebook, gtalk, gmail and other services --support read and edit official software, word / excel / powerpoint / pdf / txt. You can download many popular games like ninja fruit, feed the candy, angry birds, fieldrunner, 3d speed forge ... 3d games, hd video, 1080p, h. Divx live images formats --support. HD video up to 19201080 pixels, photo up to 40964096 pixels. Built-in microphone and external microphone jack. Torque pro (obd2 & car). 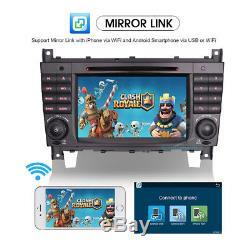 Mirror link with iphone via wifi and with android smartphone via usb or wifi. Usb port and micro sd slot. Support usb stick and memory card up to 32GB --built-in. The records will be saved automatically in your account. 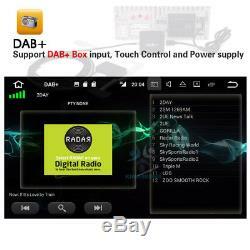 Just connect to dab / dab + box with usb port to use this function. Box input, touch control and power supply --support. Rear view camera input and reverse trigger control. 7 quad-core capacitive android 7.1 car multimedia player gps / wifi / 3g / dvr / dtv-in / dab + ... General - power supply: 12v dcv (allowance range: 10.8-14.5v) - max. Read and edit office software: yes, word support, excel, powerpoint, pdf, audio txt - format: mp3 / wma / mp2 / ogg / aac / ma4 / flac / ape / wav etc. Could play via song list - record: mp3, wma - other: lrc synchronized display; id3 search; search by files; album picture; user-defined audio effect - audio ic: global top cirrus ic, audio decoding - snr: noise rations: = 90db video - format: support avi h.
Play by revolve, powerpoint support 40964096 pixels - wallpapers: 5 live wallpapers, 25 standard wallpapers, diy wallpaper from gallery - apk install: support android package installer - support pro torque (obd2 & car): yes, you can connect to bluetooth obd2 scanner tool to use this function - support mirror link function: yes, support screen mirroring from iphone and android smartphone setup - wifi / hotspot / bluetooth: yes - display: brightness level, night display, display size and size adjustable - wallpaper: wallpapers, live wallpapers, gallery - sound & notification: key tone, volume, app notifications - storage: display internal storage and portable storage - memory: display total memory and used memory element: 8 panel light colors, support rgb combination - users: add user or profile; lock screen settings - location & security: yes - accounts & google: yes - languages ​​& input: more than 180 languages ​​and choose input method - backup & reset: yes - date & time: setting date & time by yourself or choose gps / network-provided time & time zone - accessibility: yes - navigation: yes, navigation app options, monitoring, sound mode, gps monitor - driving settings: watching video, notifications, network settings for app while driving off, choose playing music automatically, reversing x-mirror / volume / trajectory display, radar parking display, rear view ruler. 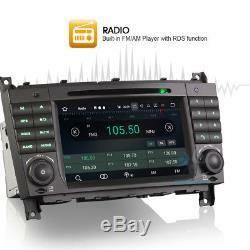 Amplifier: rock, pop, jazz, classic, flat, voice, custom - fader: driver, front, rear, all, user - steering wheel control: yes - factory settings: code 3368, choose radio band and open - unit - logos - about device: display parameter info. 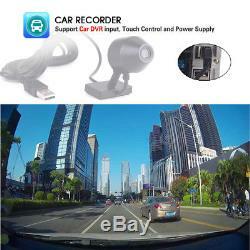 Input - to video in one - rear view camera video in: one - external microphone in: one - to audio in: r / l - dtv box in: one - dab + box in: one - car dvr in: one - radio antenna in: one - gps antenna in: one output - video out: two - audio out: r / l - stereo surround out: 450w - subwoofer out: one accessories - 1user's manual en français - 1rca cable - 1swc and other control cable - 1radio antenna adapter cable - 1external microphone cable - 1usb otg cable - 1gps antenna - 1wifi antenna - 18gb tf card. Canarias, reunion, Martinique, guadeloupe, french bolivia and so on islands. All our products will be checked and packaged in good condition. Please check the parcel before the courier leaves. We will give you a solution. Thank you for your understanding and attention. We suggest to install products by a professional. And please kindly test the item before installation, to make sure everything is good. And we are not responsible for installing or uninstalling service issue. This is our new account, so we will provide better product and better price, of course, we will also be better. We work from 8:30 am - 6:00 pm (Hong Kong time) except weekends and public holidays. Because we are new here, not only do we sell items, but we also provide better service. 9android 6.0 gps navi car radio dab + usb sd wifi car radio bmw 5er e39 x5 e53 m5. 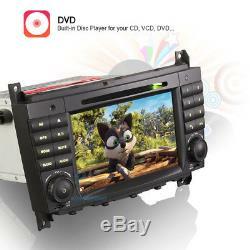 7android 6.0 car stereo dvd gps sat nav ford c / s-max kuga fiesta transit fusion. Android 6.0 navi car radio gps cd dab + dvd mercedes benz class cls / g / e w219 w463. Android 6.0 octa-core car dvd gps navigaiton autoraido usb 2 din dab + 3g obd dtv. 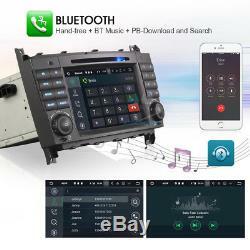 Android 6.0 car audio gps dab + navi vw polo passat golf caddy touran jetta amarok. 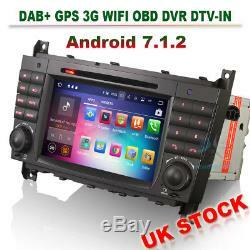 8android 6.0 gps navi atuoradio dvd dab + mercedes benz a / b class w169 viano vito. Octa-core android 6.0 dvd gps head opel unit antara astra combo corsa c / d vectra. The item "android 7.1 gps navi car radio dvd + usb sd mercedes benz clk / c / class clc w203" is on sale since Saturday, September 9, 2017. It is in the category "auto, motorcycle parts, accessories \ car radios, hi -fi, video, gps \ embedded multimedia \ main units stereo systems ". The seller is "kingseong-smart" and is located in london. This item can be shipped to the following countries: europe, asia, usa, australia.